The office is an important room. For any typical worker, most of time spent at the workplace will be spent sitting in a chair behind a personal desk. When it comes to selecting office furniture in New Jersey, comfort is key since your employees will be spending a substantial amount of their time at the office. However, the general office fit out could also play a part in determining what type of furniture your company needs. Every office manager has the responsibility of choosing the best office furniture for their employees to ensure comfort and maximum productivity. For this reason, careful selection is crucial when it comes to choosing the perfect furnishings. Pti Office Furniture Of Bergen County Provides Some Tips To Consider When Choosing Your Office Furniture. If your office needs plenty of storage, then you should consider acquiring filing cabinets. If you are expecting visitors who will be spending some time waiting, then considerations such as seating and side tables become crucial. Once you have determined all of your basic office needs, you can move on and initiate the procurement process. You will have many choices when it comes to selecting your office furniture, but the key thing is going for the type of furniture that will suit your already identified needs. Pay more attention to the design of the office desk. 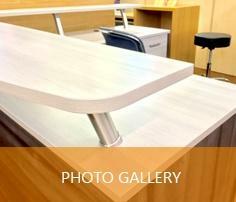 The purpose of quality office furniture is to integrate technology and promote the efficiency of your workers. Apart from the computer and the printer, think about the other office electronics such as video camera, cell phone, and even the music player. A good office desk should include a section where you can keep the slight things out of view. Make sure that you choose an office desk with appropriate support or a standing desk that will allow you to alternate between sitting and standing throughout the day. Consider the many hours that the office workers will spend sitting in that office chair before you purchase it. While shopping, go for the comfortable office chair that will allow your employees to shift positions and relax if need be. Test the chairs with the desks to ensure that they are of the right height in relation to the height of the desk. Go for ergonomic designs that will guarantee comfortability. The good news is that most of the office designers understand how many hours employees spend in an office, so finding suitable furniture that meets all the standards won’t be a big task when it comes to an office refurbishment. This doesn’t mean that you go for the expensive office furniture that will leave your business hurting financially. Neither does it mean that you should go for the cheap and uncomfortable office furniture. Keep in mind that cheap furniture will become damaged or break easily causing you to replace it within few years. You should source for quality furniture that is affordable. 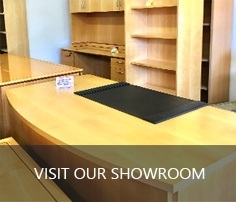 Quality furniture lasts much longer and will eventually offset the initial cost. It is crucial that you understand the office design and the actual dimensions of the office space that you want to furnish so that you choose the right furniture which fits perfectly in the available space. You should know the location of the electric outlets within the office and the dimensions that surround the windows. Knowing such information plays a crucial role in determining the type of office desks and chairs that you choose and where you will place them in the office.